These photos were taken in Salou before going to the Midnight Festival at Pacha nightclub (amazing night!). I was so happy I finally got to visit a Pacha night club…next stop Pacha Victoria! I also wore this dress at my 20th birthday party/night out (another incredible night). 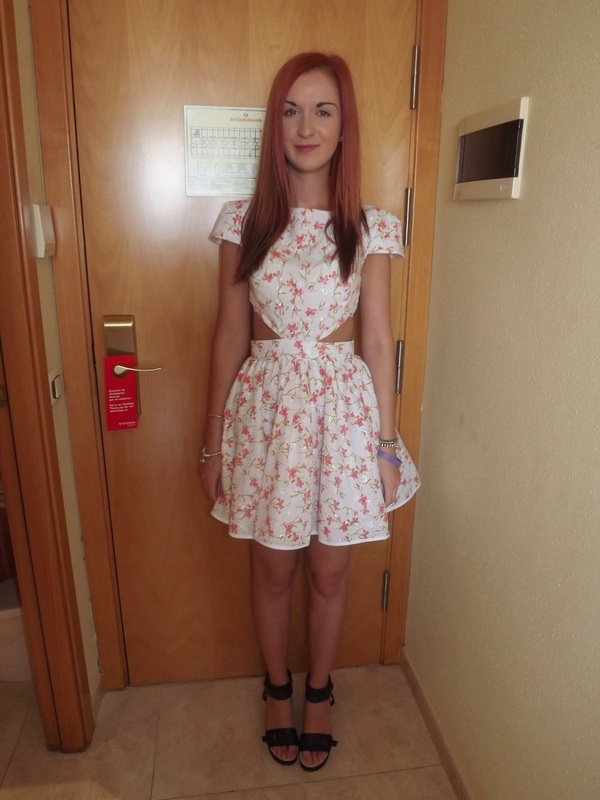 I bought this dress on my 19th birthday but never got round to wearing it until this summer! Someone actually threw a drink and it went all over me at my birthday, but it was lemonade and malibu so it didn’t stain thankfully and it didn’t actually smell too bad 😉 haha!! Lovely post! Adorable outfit ! The dress is perfect !Congrats for your blog !I appreciate that you have the same interest in fashion, style and beauty, maybe when you have time wanna visite my page:http://rock-and-roses.blogspot.ro/Silvia, kisses !